We can expediently and cost-effectively respond to the unique requirements of the federal government. Trust in Native Energy & Technology, Inc. to deliver quality service that endures. Founded in 1998, Native Energy & Technology, Inc. has extensive experience in providing a variety of services to Federal Government Agencies. Native Energy’s dedication to excellence is reflected in the experience and accomplishments of their management and technical staff. We believe the key to maintaining superior standards is supplying the most qualified personnel at all levels of skill and knowledge. This philosophy has guided our ability to demonstrate our expertise in providing the best global facilities support. Native Energy has demonstrated a commitment to quality service by providing more than 10 continuous years of program management and technical support to numerous government agencies in more than 30 states and Puerto Rico. 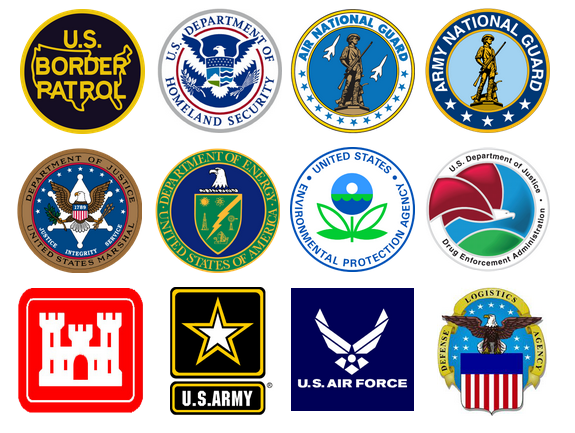 Currently, we support many defense department schools at multiple locations in the United Kingdom, Germany, Italy, Spain, Portugal, Bahrain, Japan, and South Korea. Our experience spans throughout hundreds of project locations in 6 foreign countries and all over the United States, including the District of Columbia, Alaska, and Hawaii. Our Program and Project Managers monitor all client-to-personnel actions, ensuring all requirements are completed within the specified performance period and to the required standards. By developing a large network of professional and technical personnel, we have honed our ability to expediently and cost-effectively respond to our clients’ requirements. At Native Energy & Technology, Inc., all contracts are essential, all clients are invaluable, and all personnel are exceptional. Add us to your social media! Native Energy and Technology, Inc. provides complete facility Management, Operation, and Maintenance services. We have built long-term relationships that have helped our clients succeed. Our specialized services include: Construction Oversight, Electrical and HVAC service, Facility Inspection, Vehicle and Security, Grounds Maintenance, Janitorial, and Plumbing. Native Energy & Technology, Inc. values the current and future roles of renewable energy as communities seek more clean power sources and technology evolves to meet demand for sustainability. We are investing substantially in the development of Renewable Energy solutions for our customers. Native has developed multiple options for photovoltaic (PV) products and solar energy installations of various sizes for government and commercial clients. We offer turnkey capabilities that begin with assessing the available resources and infrastructure so clients can decide which renewable energy solution makes sense for a particular site. Native specializes in Design & Build of Solar Power Plants and Operations & Maintenance (O&M) to ensure those systems perform efficiently for years. Our line of products includes outdoor solar lights and mobile solar generators that are effective for emergency response and disaster relief. • Deep Cycle Battery Backup systems. Native Energy has provided site assessment studies and energy audits for numerous clients, including the U.S. Coast Guard. Our wind-metering tower and avian studies in 2008 helped the Coast Guard determine the best use of renewable energy on the remote island of Attu, Alaska. We performed similar work for a Coast Guard site in the Caribbean. Native Energy assisted the U.S. Air Force with its efforts to transfer utility providers at a major installation at Andrews Air Force Base. Our energy management experts further assisted the Air National Guard in pinpointing significant water losses at a major military installation. The water metering analysis determined that the facility was losing hundreds of thousands of gallons of water annually. We are prepared to offer the same Energy Management solutions to government and commercial clients. Supervision and adherence to all federal and state safety guidelines, scheduling, and personnel in construction projects. Architectural, engineering, and safety services for construction/remodeling projects. Ensure that all engineering and construction projects are in accordance with and maintain all environmental standards, including pre-site visits and monitoring. Environmental Surveys, including sampling and testing for pollutants, metallic levels, runoff surveys and other potential impacts on the environment. Emergency response, environmental remediation and hazardous materials removal services for the federal government, state governments, and state agencies. The tracking of statuses and progress against regulatory requirements, completion and expiration of certifications, licenses, permits, accreditations and more. Native Energy & Technologies provides audio and video communication services for business and government including digital recording systems, Interactive Whiteboards, video teleconference solutions, audio and video conferencing, public address systems. We have a specialized staff to assist in Audio Visual Design and Installation. We carefully analyze the objectives of the client and create the best possible solution given the space and budget constraints. Government agencies know that heightened security awareness is not a mere trend – in today’s necessarily cautious climate, it’s here to stay. 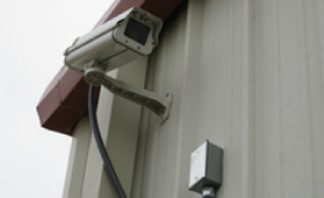 Video surveillance is an essential component of securing official buildings inside and out. A comprehensive video surveillance system can make your agency more secure, more efficient, and reduce your exposure to theft and accidents. Native Energy & Technology gives you an unprecedented level of organization and control over your surveillance data and access to that information from anywhere in the world. Let our security professionals design a system that ensures you see what you want, when you want. In today’s fast-paced world and competing global marketplace, video conferencing (VTC) technology is one of the most effective forces driving our communication systems. Native Energy & Technology can design for you a fully customizable VTC solution that allows you to easily make connections around the globe, simply at the click of a button. From the war room to the corporate boardroom and the classroom, our clients are making successful connections through the use of VTC technology. 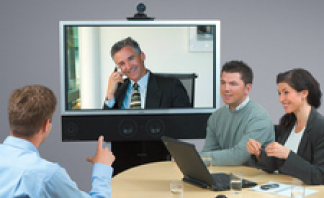 With high-definition image quality and superior audio performance, VTC technology provides an open range of communication and presentation possibilities. The Video Wall, state-of-the-art projection not only aids agencies by allowing multi-tasking and a vast amount of on-screen information, but it also easily managed and controlled. 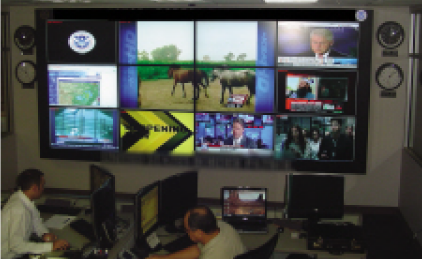 A video wall display gives your control room operation a powerful collaboration tool to help stay in control of the environment they’re monitoring at all times. Almost any number of monitors may be joined together to create high impact multi-screen video walls.